Well now that Im all caught up on my travel recaps, things can get back to normal around here! Today I thought I'd show you a little bit more of Brooklyn. I've already shared a couple of neighborhood tours, a fab flea market, the cutest coffee shop ever and a few other fav spots. But today is different. I'm always quick to point out that Brooklyn is so completely different than what most people expect. But there are some things that are so absolutely old school that they define the stereotype and can't be argued. Not that I want to argue with them, if you know what I mean. Case in point, Lioni's. An institution so unapologetically old world Brooklyn that you can not resist its charms and travel back to a different time the minute you cross the threshold. The meat, the bread, the italian specialities are all here just like you remember them. Located in (where else?) Bensonhurst, it spits in the face of every hipster/yuppie establishment that has become the norm here. And while I'm all about appreciating progress, sometimes its nice to just have a good ol' sandwich and take in the scenary. They don't take themselves too seriously if this sign is any indication. While Lioni's is not the only one left of its kind, its certainly something you don't see everyday anymore. And in case you are wondering, the mozzarella its famous for is absolutely worth all the hype. If you want to see more of my fine borough, check out some of these posts about town.  Or download my free guide to 1 day in Brooklyn. Anyone else share my appreciation for this place? Where is your favorite old school food? I am totally drooling all over the screen. Olives yum... fresh mozzarella.. mmmm! Diet schmiet. If I ever get there, this place will be on my list! Looks like a fabulous place. If I ever make it into the city I will put it on my places to visit. Thanks for reminding me about Lioni! I've not been there in several years but now I'm going to get over there fast. I love these kind of no frill just good food kind of places - looks delish! Oh, sigh, shades of my childhood. My family was from Bay Ridge, Brooklyn and fresh mozzie was a favorite. We used to go A & S Pork Store and when we moved to Long Island found their other store in Hungtington!! We've moved to New England since, and alas, CRAVE a real Italian store! "Have your cake and Brooklyn too!" So cute!! I love the peek inside Lioni's , it looks so charming. I'd love to visit Brooklyn. Loved the, "Brooklyn-- it's more than a freakin tree"-- so funny! Sad to say, I know nothing about Brooklyn except the title of that book-- thanks for sharing a local's view. I really love your blog! Makes me want to go back NOW! Oh how I LOVE Brooklyn! My Dad was born and raised there. He often spoke of the great neighborhoods and of course, his beloved Brooklyn Dodgers. Though our family lived on Long Island when I was growing up, I always looked forward to our trips to Brooklyn. Too few and far between but oh so much fun. Living now in the Twin Cities, I've heard people sometimes say St. Paul has that same feeling. Maybe but not quite the same. Thanks for the trip down memory lane!! It looks like a trip back in time. I love it. I spent '05-'08 in Brooklyn, I recommend Sahadi's on Atlantic Ave and Karem Restaurant in Bay Ridge for some delicious, authentic Middle Eastern food. Alas...that type of stuff is few and far between in the South. I love that sign, so funny!